A Grand Prairie industrial site that leaked cancer-causing chemicals under more than 100 homes is now eligible for cleanup funding, the Environmental Protection Agency announced Tuesday. The 1.1-acre Delfasco Forge property has been placed on the Superfund National Priorities List, which features some of the nation’s most polluted sites. Still, funding and cleanup of the toxic groundwater and soil could take 10 to 15 more years, said Jim Cummings, Grand Prairie’s environmental services director. The owner of the Delfasco Forge plant, which made practice bombs for Navy and Air Force pilots, filed for bankruptcy in 2008. Officials at the Hurst-based company blamed its bankruptcy on liabilities from the contamination as well as reductions in military training. They also claimed that the pollution was caused by previous owners or other industrial sites. Testing at the time found trichloroethylene in 10 nearby businesses and homes. The EPA concluded that the site was a threat to public health. The bankruptcy court set aside money to temporarily protect some properties near the plant at 114 N.E. 28th St. Trichloroethylene, or TCE, used as a degreaser, along with other hazardous chemicals were found in groundwater underneath 65 acres of a mostly residential area of Grand Prairie. Cummings said scientists realized that there was still a danger from the pollution even if the groundwater wasn’t used. Fumes from the TCE and other chemicals that evaporate quickly migrated into the soil and then leaked into the structures above ground. The groundwater is about 18 to 32 feet below the surface, according to EPA records. Some property owners were provided equipment to vent fumes outside their homes or businesses, although installation wasn’t mandatory. Four exhaust fan systems were installed in 2008 and 31 more in 2014. The owners of nearly 50 more homes located above the toxic underground plume were offered these systems but declined, according to the EPA. Agency officials on Tuesday said this was the first time these vapor concerns had been used as a factor for inclusion on the Superfund list. Previously, there was less concern about groundwater contamination if the properties didn’t use well water. The EPA has proposed banning the use of TCE in commercial vapor and aerosol degreasing and dry cleaning because of its health risks. Besides causing cancer, the chemical can also harm fetuses, irritate the respiratory and central nervous systems and harm the liver, kidneys and immune system. The site’s soil and groundwater is tainted with five other toxic chemicals known to harm most organ systems and also cause cancer. The plant opened in the 1950s near Dallas’ former Naval Air Station and was bought by Delfasco in 1980. 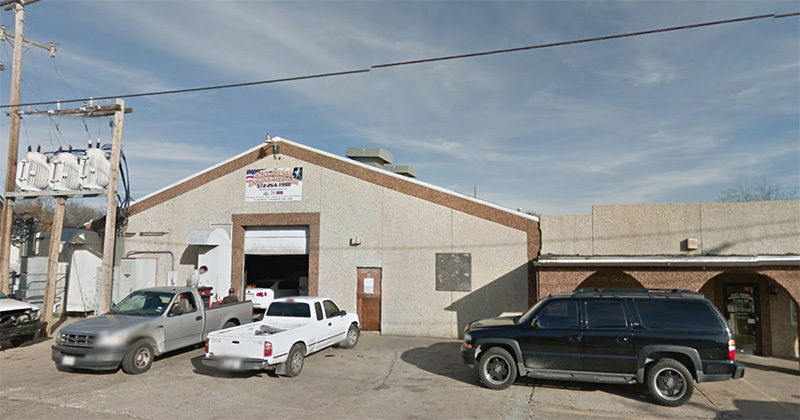 The Grand Prairie plant, which also had metal fabrication and forging operations, shut down in 1998. The owner then leased it to an auto repair business. Jensen said the city plans to use mailers, door hangers and social media to alert nearby residents and businesses about the progress. Informational meetings and hearings will also be planned.